This month sees the launch of Xero Signals, another asset for small businesses to gain insight into trends within New Zealand’s small business market. Based on real data from almost 10,000 businesses across New Zealand, these insights can help small business owners understand how they’re faring, compared to the rest of the market. The launch is timely as conversations heat up among small businesses who are facing challenges at the hands of New Zealand’s increasingly relaxed attitude towards paying invoices. 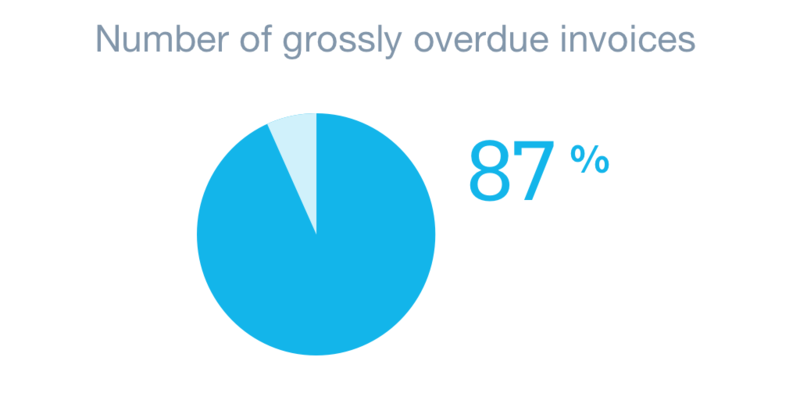 Xero insights show that only one in nine invoices are paid on time. This has a significant impact on the cash flow of a business and, in turn, on our country’s small business economy. Today, we can see that it is taking longer and longer for small businesses to have their invoices paid. Late invoice payments are already a huge problem for small business owners. 87% of invoices issued by small businesses in New Zealand are overdue. And this seems to be a mounting issue. In the past year, the number of invoices which were more than a month overdue grew from 24% to 40%. Negotiate payment terms upfront to no longer than 30 days, invoice immediately as soon as the contract is complete, use invoice reminders *within the Xero software* to follow up on overdue invoices and forecast cash flow troughs and peaks. Don’t forget, electronic payment methods – mobile EFTPOS and mobile app tools. Xero’s small business market study identified that thriving businesses were more likely to have a plan, a trusted advisor and employed more technology tools. These differentiated the businesses that struggled and the businesses that thrived. Yet, only 30% of small business have a plan, written down. With these insights, we hope to better understand what business activities have the biggest impact on net profitability, revenue and cash flow and making this information readily available to small business. It’s time to thrive. The post Signalling Insights for Small Businesses appeared first on Xero Blog. Xero Gravity: Succession planning: Is it your happily ever after? Can technology break the cycle of late payments?